Excuse me. What time does the ferry leave? From New Orleans, ships took cargo on to eastern seaports. The boat turned over on the lake. I think paddling a canoe is as difficult as rowing a boat. Is there a night cruise tonight? It looks like there’s a pleasure boat. Man’s life is often compared to a voyage. My dream is to sail around the world. Our ship reached the port safely. The boat is crossing a wide river. The captain suddenly shouted at the crew. The captain would not leave his ship and went down with her. 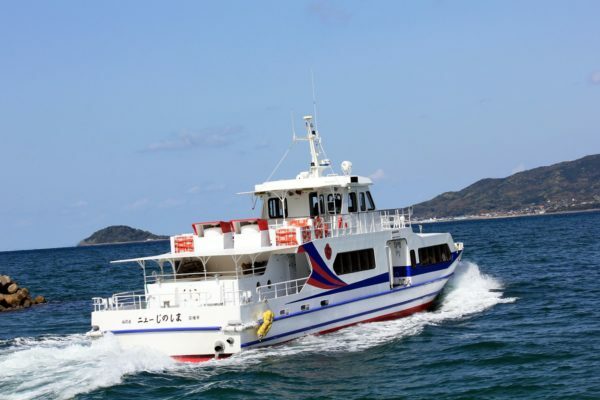 The company operates small boats to carry passengers and freight. The grounded ship was partially buoyed by the tide. The half finished ship full of workers looked like a bee hive. The Mississippi became useful as steamboats grew in number. The ship plowed through the waves. A large tanker was capsized by a tidal wave. They are thinking of taking a trip to Kyushu in a ship. Those who jumped from the ship were buoyed by life jackets. What time does the next ship leave?